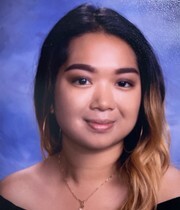 (Sacramento, CA) – The California Charter Schools Association (CCSA) will present the winners of the 2019 Susan Steelman Bragato Scholarships during its 26th Annual California Charter Schools Conference in Sacramento. The annual Bragato Scholarship is awarded to outstanding charter public school high school seniors to help further their academic careers as they pursue higher education. Recipients will receive $2,000 in recognition of their academic achievements and desire to serve their community. The funds are to assist with each student’s first year of college. Susan Steelman Bragato was a key supporter of the charter school movement and her legacy continues through her namesake scholarship program. The co-founder of the first California charter school and founder of the precursor to CCSA (the California Network of Educational Charters) and its first annual conference, Ms. Steelman Bragato died in 2005 at the age of 47. Gabriel’s plans include becoming an engineer. At an early age, Gabriel was inquisitive and had a strong desire to know how and why everything works and was often found taking apart small home appliances and gadgets and restoring them. 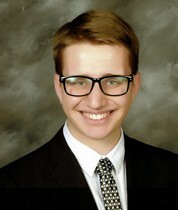 As an Honor Roll student with a cumulative GPA of 4.0, Gabriel also participates in STEM Engineering competitions which have earned him 3rd Place at an Introduction to Engineering Design challenge and 1st place at a Principals of Engineering event. Surrounding herself with preschoolers since 2014 as a volunteer at a local preschool, Lourdes realized she was interested in pursuing teaching as a profession. 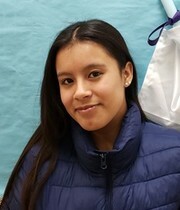 To help prepare her for a career in public education, Lourdes served as student representative at the California Rural Ed Network, student representative on her school’s governance board and earned three Certificates in Achievement Awards from Tehama eLearning Academy. Olga is looking forward to attending college and ultimately becoming a nurse. Her enthusiasm for academic life is evident in her hard work which has earned her Honor roll and a GPA of 4.17. 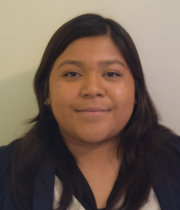 Her desire to attend college has led Olga to enroll in three community college courses in addition to taking AP English, AP Spanish and AP Computer Science at her high school. 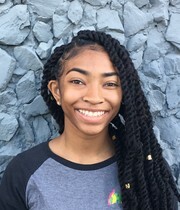 She is determined not only to graduate from college but also to serve as a role model to other students in the diverse communities of Oakland by proving diligence and perseverance pay off in the end. A first generation American, Daysia’s inspiration came from her mother, an immigrant from Cambodia who risked her life to escape mass genocide and provide a better future for their family. After arriving in the states, Daysia’s mom enrolled in vocational school to become a nurse. Daysia got to watch her mother receive her certificate, which inspired her to want to enroll in medical school and one day pursue her dream of a career as a physician as a way to honor her mother and be a role model to her younger siblings. A product of a multi-cultural family, Miya grew up in Oakland loving science and bugs. After learning about the importance bugs serve within the environment, she decided early on she would work towards becoming an entomologist. Aside from her passion for discovery, Miya enjoys her formal training as a dancer, which she practices an average of 20 hours per week. Constance Chiang serves her community, and surrounding communities, volunteering to support victims of domestic violence and at homeless shelters. She is the recipient of Archer School for Girls Research Grant and Certificate of Special Congressional Recognition. 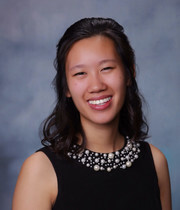 Chiang’s academic pursuits include earning her degree and graduating from college to begin her career as a teacher to help students achieve their “a-ha” moment. Growing up with a condition known as selective mutism and dealing with anxiety issues, Chloe eventually overcame her situation through therapy and has flourished as a model student. 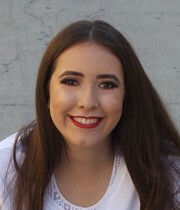 Her academic accomplishments include AP Scholar with Honor, Principal’s Honor Roll and National Society of High School Scholars, as well as becoming Associated Student Body (ASB) President and Varsity Girls Golf Captain. Growing up in South Central Los Angeles taught Ingrid the value of a quality education. With the strong support of her parents, a course was set for Ingrid to achieve the goal of attending college and earning a degree. 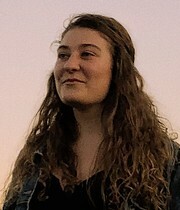 In addition to making honor roll for the past three years, Ingrid has played the bassoon with the Youth Orchestra of Los Angeles for the past five years. She was selected to perform with the National Youth Orchestra of Great Britain in London, and as a member of the 2018 National Youth Orchestra of the United State of America at Carnegie Hall in New York City. 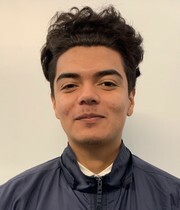 Surround in early life by drugs, violence and gangs, Danny’s desire to improve his situation has been a motivating factor that has earned him Honor Roll recognition and an Award from the Urban League of San Diego for maintaining a 3.5 GPA. Dealing with family matters and lack of a stable home continues to fuel Danny’s drive to enroll in UC Berkeley and earn a Master’s in Business. Living in California’s Mojave Desert taught Edwin to be cautious around prickly and dangerous plant life. 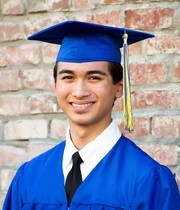 Despite this early natural education, Edwin has been an explorer and adventurer earning a black belt in Taekwondo, an inaugural scholarship to the Secretary of the Airforce AFJROTC Flight School and an amateur radio license. When not involved with his studies, Edwin is a member of AAE’s marching Knights band and his school’s Principal’s Cabinet.